They found him inside one of seventeen cauldrons in the courtyard, steeping in an indigo dye two shades darker than the summer sky. His arms and chin were propped over the copper edge, but the rest of Kemal Türkoglu, age ninety-three, had turned a pretty pale blue. When Orhan’s brilliant and eccentric grandfather, who built a dynasty out of making kilim rugs, is found dead in a vat of dye, Orhan inherits the decades-old business. But his grandfather’s will raises more questions than it answers. Kemal has left the family estate to a stranger thousands of miles away, an aging woman in a retirement home in Los Angeles. Her existence and secrecy about her past only deepen the mystery of why Orhan’s grandfather would have left their home to this woman rather than to his own family. Intent on righting this injustice, Orhan boards a plane to Los Angeles. There, over many meetings, he will unearth the story that eighty-seven-year-old Seda so closely guards--the story that, if told, has the power to undo the legacy upon which Orhan’s family is built, the story that could unravel Orhan’s own future. 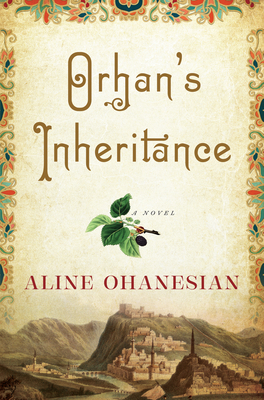 Moving between the last years of the Ottoman Empire and the 1990s, Orhan's Inheritance is a story of passionate love, unspeakable horrors, incredible resilience, and the hidden stories that haunt a family. Aline Ohanesian's great-grandmother was a survivor of the Armenian Genocide. Her history was the kernel for the story that Ohanesian tells in her first novel, Orhan's Inheritance. Ohanesian was a finalist for the PEN/Bellwether Prize for Fiction and Glimmer Train’s Short Story Award for New Writers. Born in Northridge, California, she lives and writes in San Juan Capistrano, California, with her husband and two young sons. Her website is www.alineohanesian.com.